You are making dinner on Sunday night. You bake your food at the temperature specified in your recipe. You know exactly how long your food takes to cook, and no variables affect the outcome. Now, it is Monday morning, and you are selecting the temperature for your paint booth. This time, it is not so easy. The coating you are using plays a big factor, as well as the size of the object you are painting and the humidity level in and around the finishing environment. 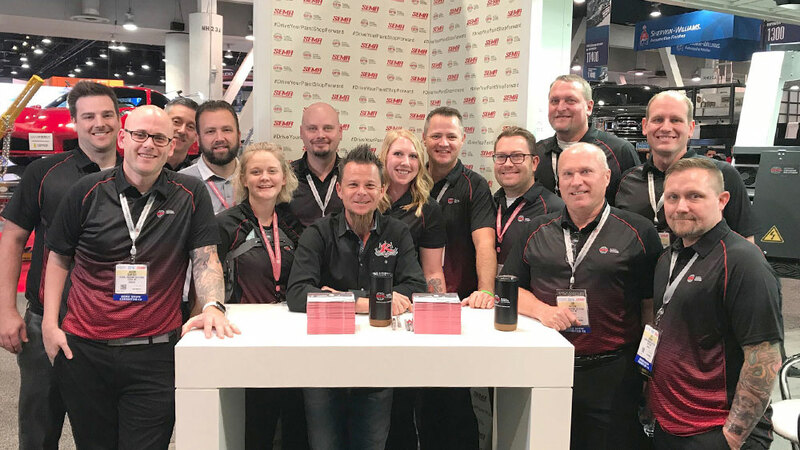 In the automotive industry, it is no secret that increased throughput equals increased profit. That is why proper temperature settings for paint spraying are so important. For waterborne paint, the recommended booth temperature is between 70 and 75 degrees, or 5 degrees above ambient temperature, whichever is greater. When using solvent-based paint, it is critical to not exceed ambient temperature. 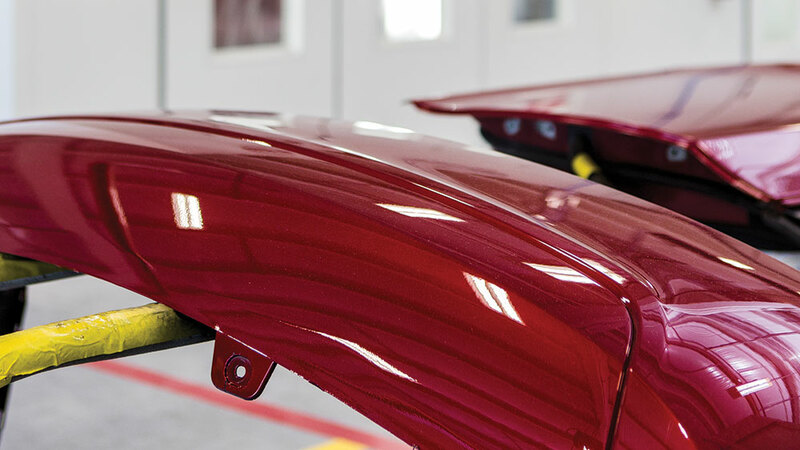 For automotive paint with a catalyst to dry, a paint booth must be a minimum of 55 degrees Fahrenheit. 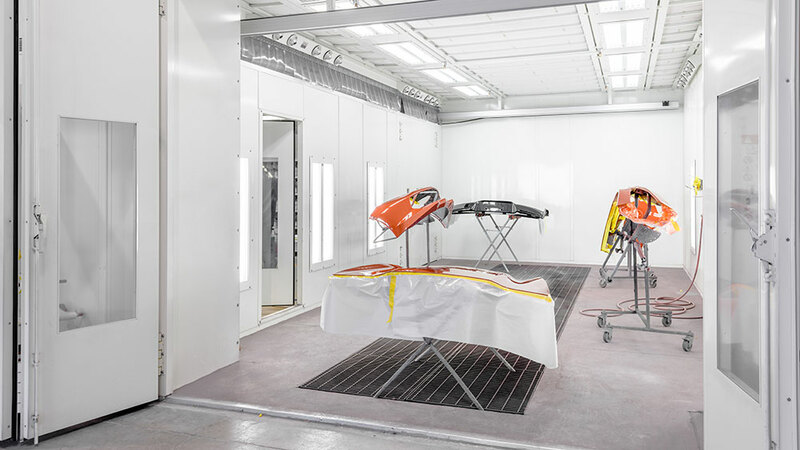 For automotive paint booths with an air heater, the rule of thumb is that for every 15-degree increment above 70 degrees, a coating will cure about twice as fast (assuming 50 percent relative humidity). Similarly, for every 15 degrees below 70 degrees, a coating will take about twice as long to cure. 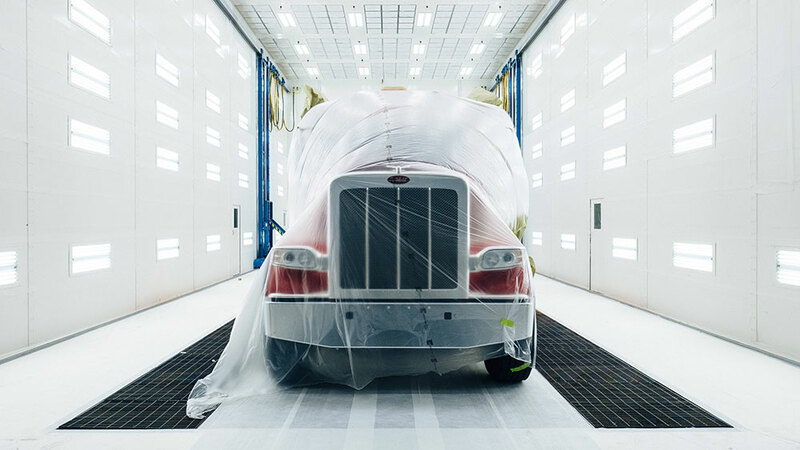 When curing in a non-heated paint booth, the amount of heated air exhausted from a heated building matters — especially in cold climates. For instance, if the outside temperature is 25 degrees, and your shop has 150,000 cubic feet of heated air, a non-heated booth at 12,000 cubic feet per minute (CFM) will exhaust all of the shop’s heated air in only 12.5 minutes, making it necessary for the building’s heat system to replace it. In industrial applications, determining the correct temperature for your paint booth is more complex. When setting the temperature, you first want to consider the type of coating you are applying — no two coatings are the same. Additionally, a waterborne coating from one paint manufacturer is not necessarily the same as a waterborne coating from another company. With the exception of California, waterborne paint is relatively new in the U.S. As a result, there is a big learning curve for technicians. What remains constant: The most common temperature for painting industrial products is between the high 60s and low 70s. It is best to follow the manufacturer’s recommendations for temperature settings when curing. You do need to consider what you are painting, though. The size of the object will impact how long it takes to dry, due to the amount of time needed to heat the product’s surface. A large yacht, for example, will take much longer to dry than a small part. Humidity should also not be underestimated. An 85-degree summer afternoon in the Midwest is not the same as an 85-degree spring afternoon in the dry heat of the West Coast. Painting the same object with the same coating will take longer to dry in the humidity of Wisconsin than in the dry air of Arizona. Similar to other industries, temperature settings are also largely driven by coating types for aerospace applications. 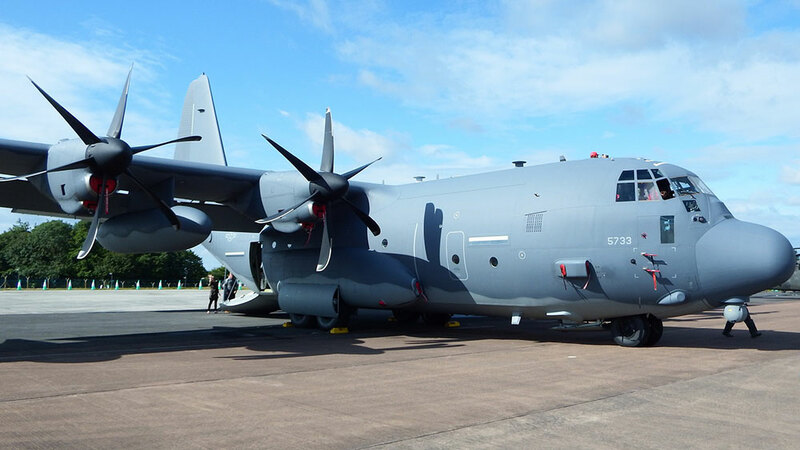 Painting between 70 and 75 degrees, with humidity between 40 and 60 percent, is ideal for most commercial aircraft, business planes and military jets. Stealth coatings, in particular, require a narrow temperature range and specific humidity level to adhere properly. When humidity levels are controlled, the booth can provide big dividends. Cost savings for aerospace paint booths are often realized through energy recovery. A GFS aircraft paint booth at Langley Air Force Base used for F-22 Raptors undergoing short-term repairs consumes only one-fifth of the energy of their previous booth. Due to the highly sensitive electronics in aircraft, they must be cured at a lower temperature than vehicles or industrial equipment — typically no more than 120 degrees. If removed from an aircraft, parts and components may be cured at temperatures that reach 160 to 180 degrees. 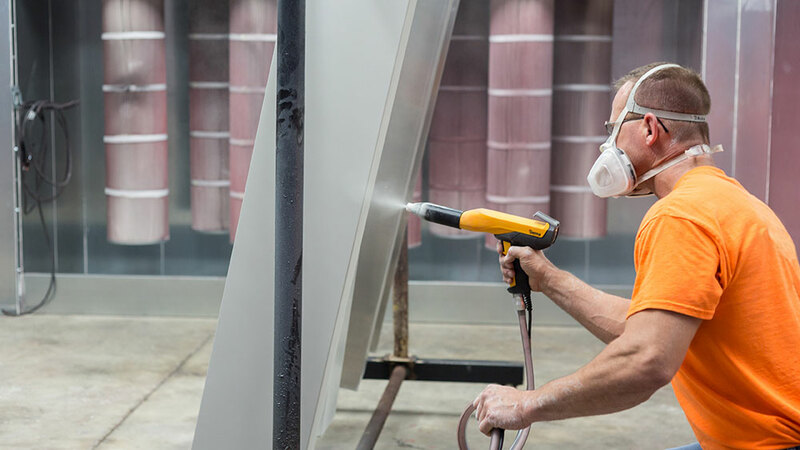 Following manufacturer’s recommendations is your best bet when setting the temperature in a paint booth. And at GFS, our service does not end at the point of sale. 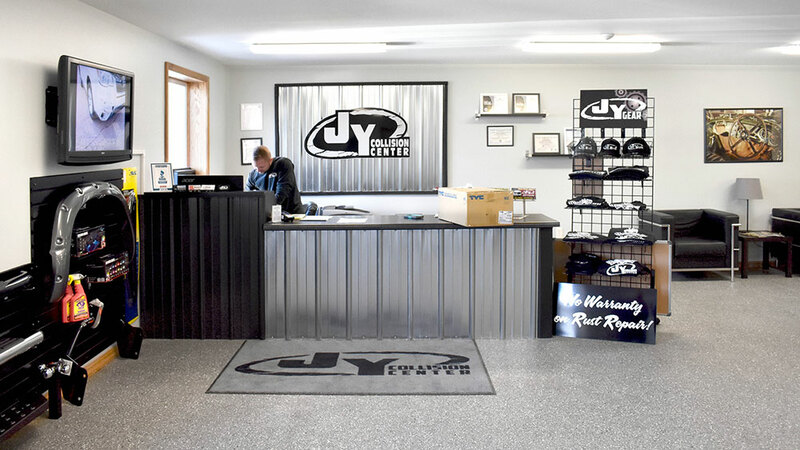 Our experienced team of project managers, technicians and sales consultants are always ready to assist our customers with questions about paint booth temperature settings.